© 2019 Codivated LLC. All Right Reserved. We know how to get on the right side of Google. Getting to the first page of Google for your relevant keywords isn't something that happens overnight. It takes months of planning, execution, and tracking. 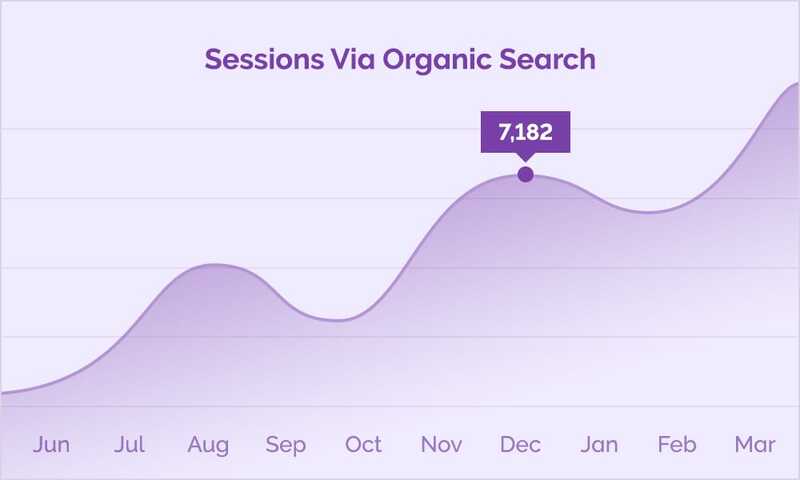 We have the knowledge necessary to review your existing online presence and craft a plan to help you achieve more organic search engine traffic. Don't know what kind of SEO you need? No problem. 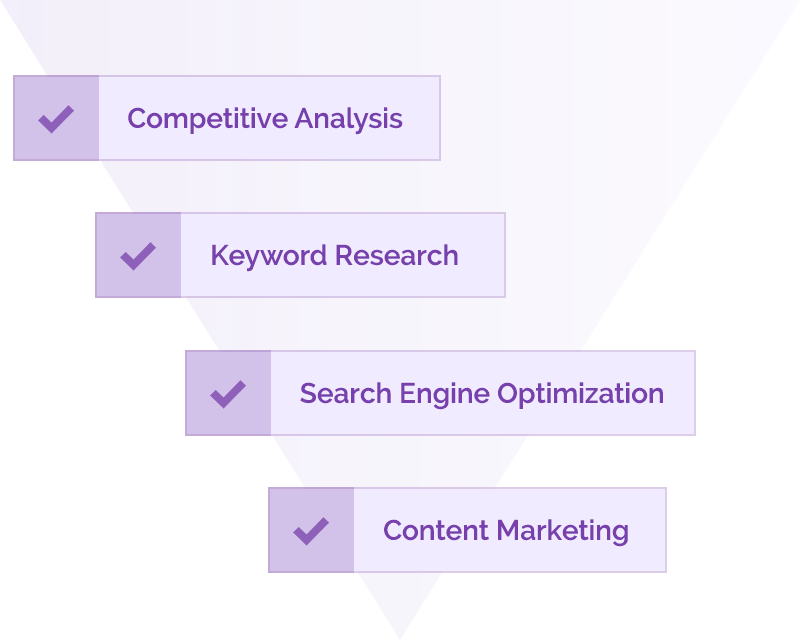 SEO (search engine optimization), SERP (search engine ranking placement), competitive analysis, content marketing, the list of buzzwords is seemingly endless. We know how overwhelming it can be to try to wrap your head around these terms and understand how they impact your business. We are up to date with the latest trends so you don't have to be. Tell us your business goals, and let us craft a custom-tailored SEO plan that fits your needs. We can take a comprehensive look at your current setup and identify what can be improved. With an SEO audit, we'll meet with you to define your existing goals, keywords, and SEO strategy. Once we have your goals identified, we'll evaluate your existing site and let you know what can be done to achieve those goals even faster. With competitive analysis we can identify your competitors search rankings for chosen keywords. From there, we can analyze their site and gain the understanding we need to see who those competitors are, why they pose a threat, and which strategies we should employ to beat them. You can't consider an SEO campaign successful just because it generates a lot of traffic. It has to have a lot of quality traffic. Getting quality, targeted traffic starts with in-depth keyword research and analysis. In order to find the right keywords, we have to put ourselves in your customer's shoes and understand how they think and search. Seeing all the options, and then knowing which combinations and strings lead to conversions (and which don’t) is key. On-site SEO refers to optimizing both the content and HTML source code of a page. When we perform on-page SEO, we evaluate the existing pages and content on your site and make the necessary changes to ensure that, from a technical perspective, everything on the page is optimized for search engines. This can range from page load time optimization all the way to content writing. We succeed when you do. Most of our clients work with us on a retainer basis which nourishes a long term partnership. We care about you, your team, and your business, and we want you to succeed. We communicate often with our clients. We use Teamwork & Slack for our tracking & internal communication. We can either add you as a guest to our tools, or integrate with your current workflow by joining your project management & communication channels. With a long term parnership, we are fully invested in helping you get your business from where you are now to where you want to be. SEO is a marathon, not a sprint. There are some SEO services which can be rendered over a short period of time, but the best approach is one that gives us the ability to constantly evaluate the choices being made and the opportunity to iterate over things as often as possible. Ready to take your SEO to the next level? We are too.